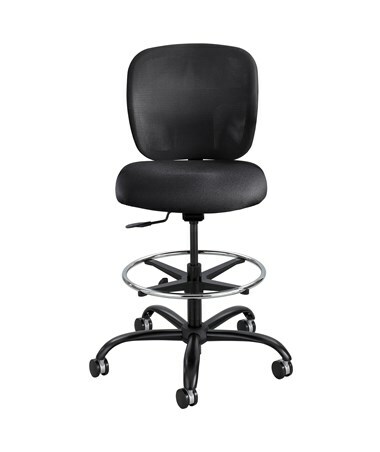 The Safco Vue Heavy Duty Stool is a rugged, big and tall drafting chair that is rated for 24/7 use, perfect for offices and provides comfort after a long day's work. It has a weight capacity of 350 pounds and a height adjustment range of 10 inches. It features a contoured seat that swivels a full 360 degrees and adjusts from 23 to 32.5 inches high using a pneumatic control lever. 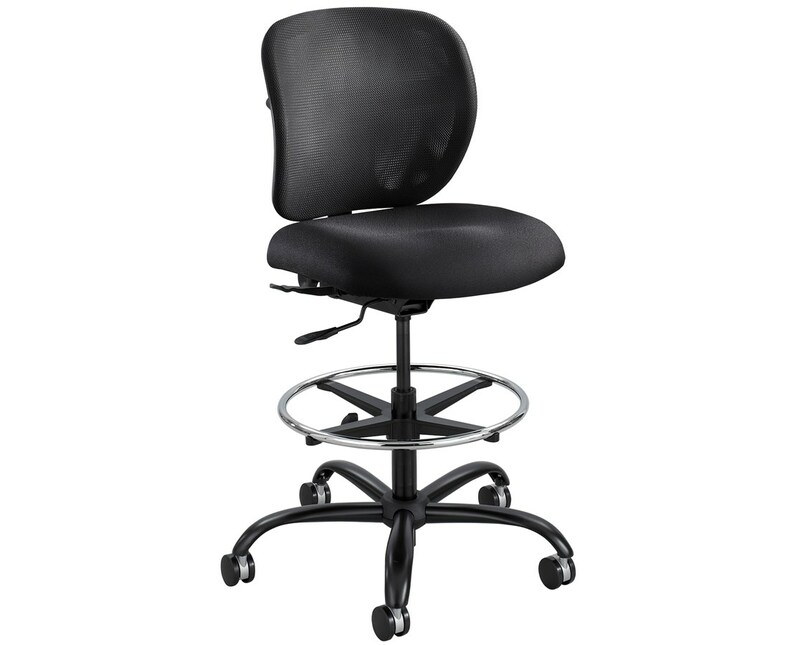 This chair has a reinforced mechanism with back tilt and posture lock and a swivel tilt mechanism with adjustable tilt tension to provide maximum comfort. A height-adjustable footrest is included for leg comfort and the 26-inch diameter five-star base has 2.5-inch dual wheel carpet casters for mobility. This heavy-duty stool is made of steel and nylon. The seat s cushioned and the back has nylon mesh upholstery. 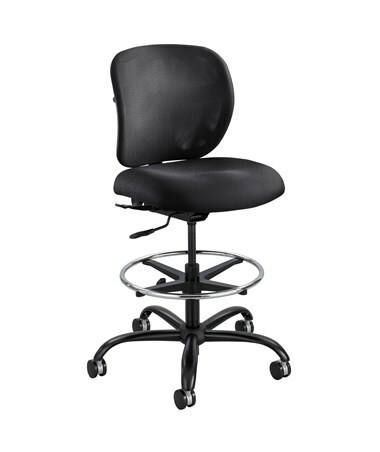 The Safco Vue Heavy Duty Stool is available in two seat upholstery. Please select your preference from the drop-down menu above. 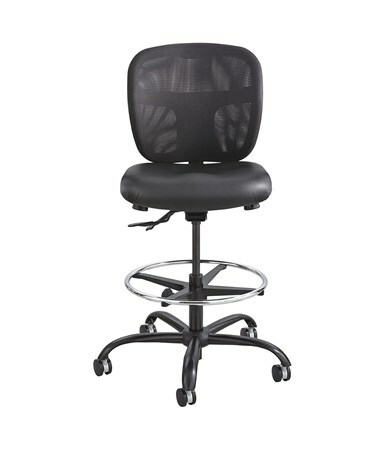 Height adjustment range of 10"
Seat height adjusts from 23" to 32.5"